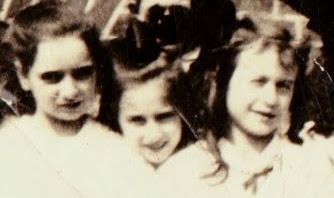 This is one of those photographs that deserves to be magnified, as the original (tattered) image is only three inches wide. There is no information at all on the back. What year or decade was this taken? 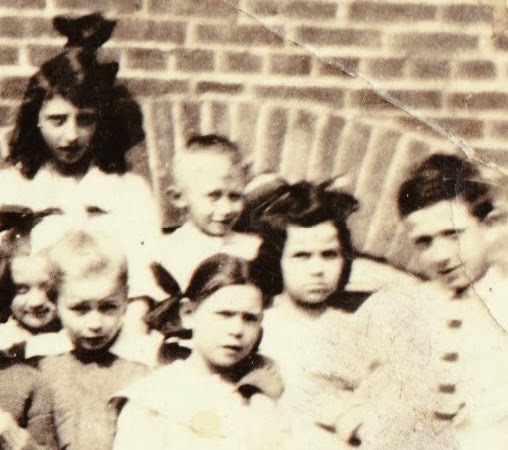 What did all these children grow up to do? 1. 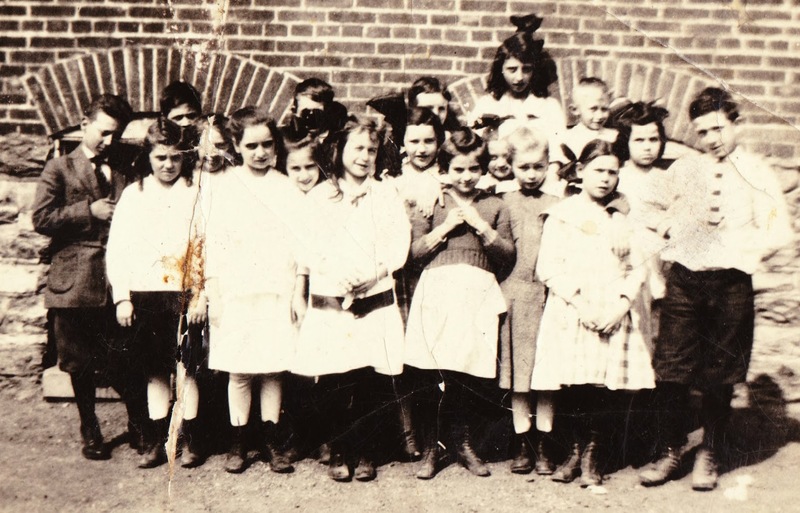 If you've never read the short horror story “This Year's Class Picture” by Dan Simmons, I recommend that you track it down. 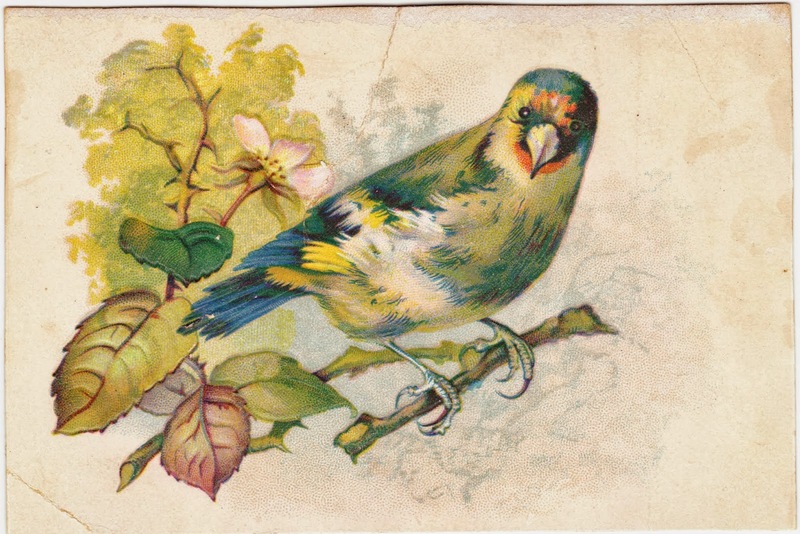 A colorful bird appears on the front of this Victorian trade card, which is slightly smaller than a standard postcard. 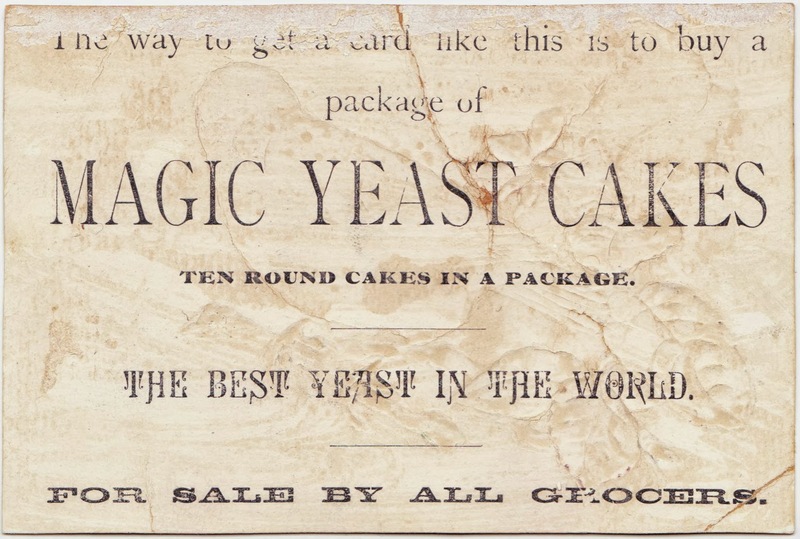 According to the reverse side, "The way to get a card like this is to buy a package of MAGIC YEAST CAKES." It's interesting to think that late 19th century consumers would have been motivated to buy one product over another because of the presence of a picture of a bird. But it's also extremely hard for us to imagine the enthusiasm with which the public of that time embraced and collected these cards. Magic Yeast Cakes were a product of E.W. 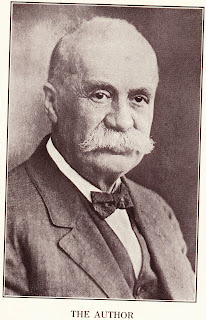 Gillett of Chicago. 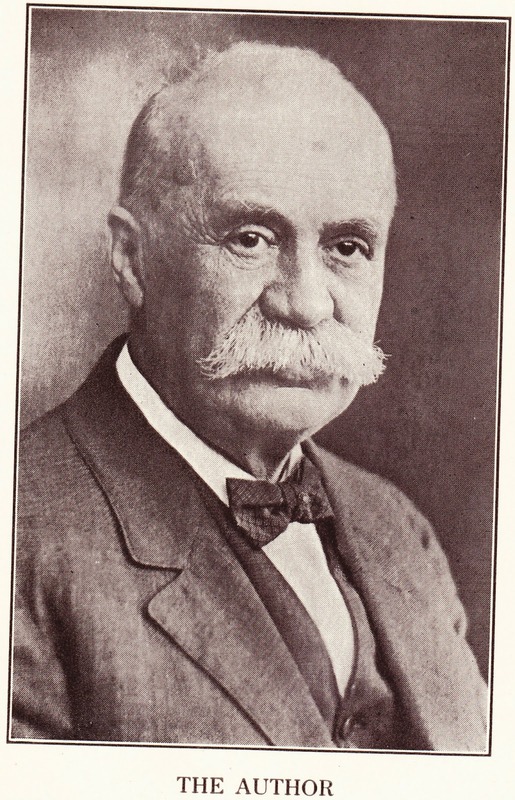 In 1929, E.W. Gillett merged with four other companies to create Standard Brands. And, in turn, Standard Brands become part of Nabisco in 1981. In doing some other research into Magic Yeast Cakes and Gillett, I came across a creepy piece of ephemera. A publication called Happy Hours was apparently once distributed free to buyers of Magic Yeast Cakes. And this link shows one of the illustrations that appeared within. Boo! The artist is George Inness (1825–1894), an American landscape painter who was a major part of the tonalist movement. 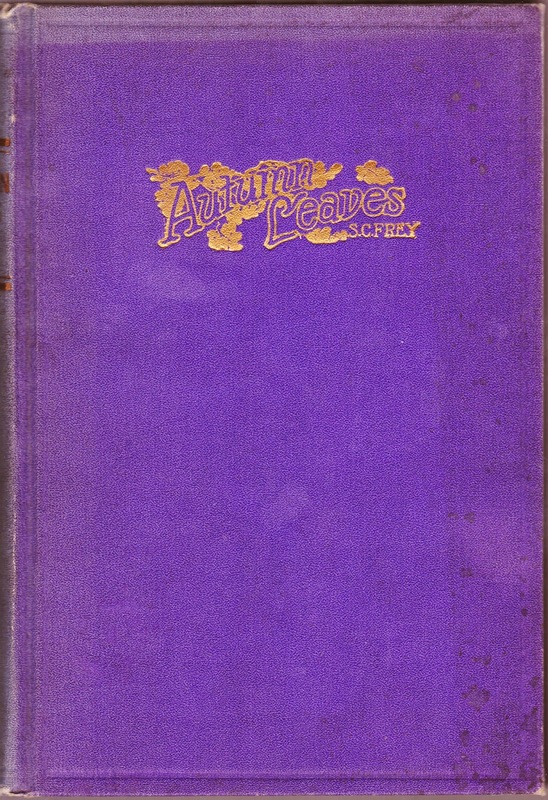 His works, many of which can be seen here, included numerous depictions of autumn, including Early Autumn Montclair, Autumn Oaks, Autumn Gold, Autumn Meadows and Spirit of Autumn. 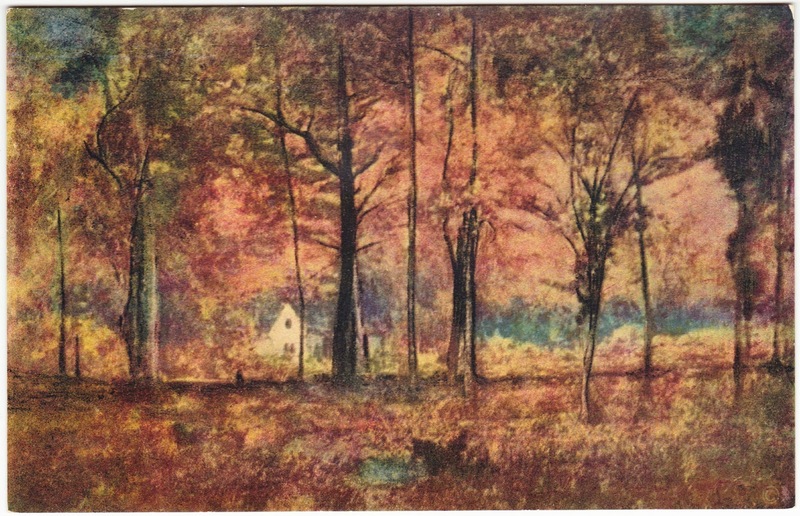 This one is titled Autumn Woods, was created very late in Inness' life, and has long been property of The Art Institute of Chicago. It is an oil-on-canvas work. I look at the house in the background of Inness' painting and imagine that, on a windy and rainy October night, this woman is sitting inside. The postcard itself is unused and was published by The Detroit Publishing Co., which was in business from approximately 1880 to 1936. 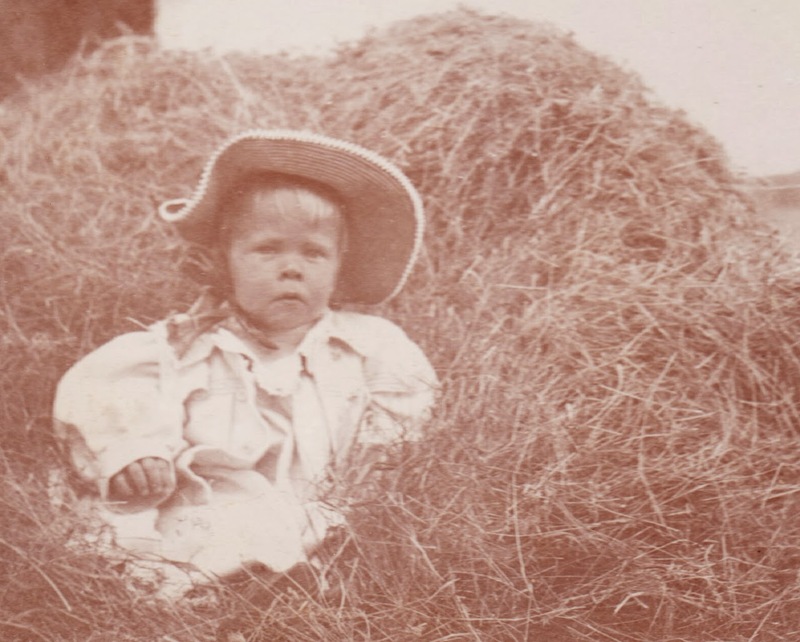 "Originally a printer of religious books and calendars, the Detroit Photographic Company Ltd. shifted production in 1897 when owners William A. Livingstone and Edwin H. Husher saw the potential in postcards. After negotiations with Orell Fussli, Detroit became the sole American company to license the Swiss photochrom process, which they would eventually register in 1907 under the name Phostint." Postcard: "Farben-Aufnahme direkt nach der Natur"
Besides that note, I don't know a thing about Uncle Willie. Hartley is common location name. There are Hartleys in Texas, Iowa and California, among other places. 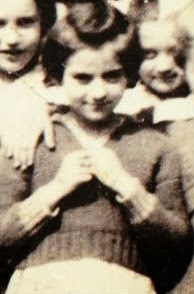 So I think, beyond those few words written in pencil, this photo will remain forever within the category of Mysteries. Here's a closer look at Uncle Willie. 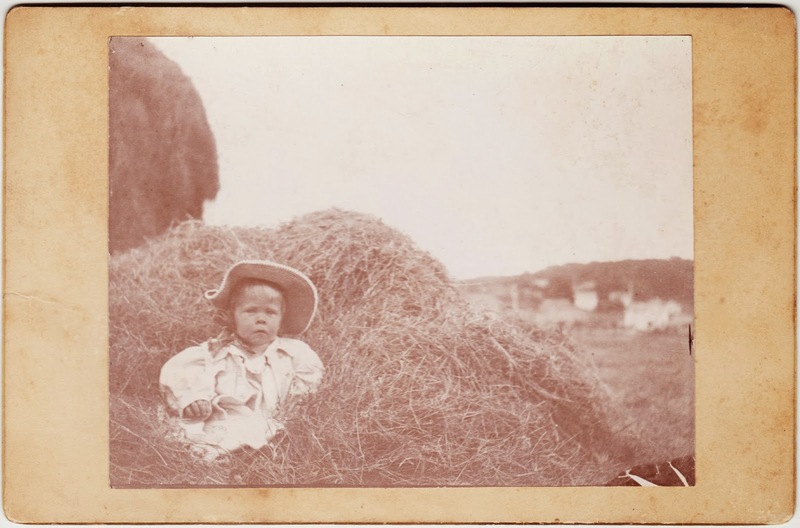 He doesn't look terribly pleased to have been plopped into the hay. 2. I know, of course, that June is not an autumnal month, but the pile of hay sure gave me that autumn vibe. So there. 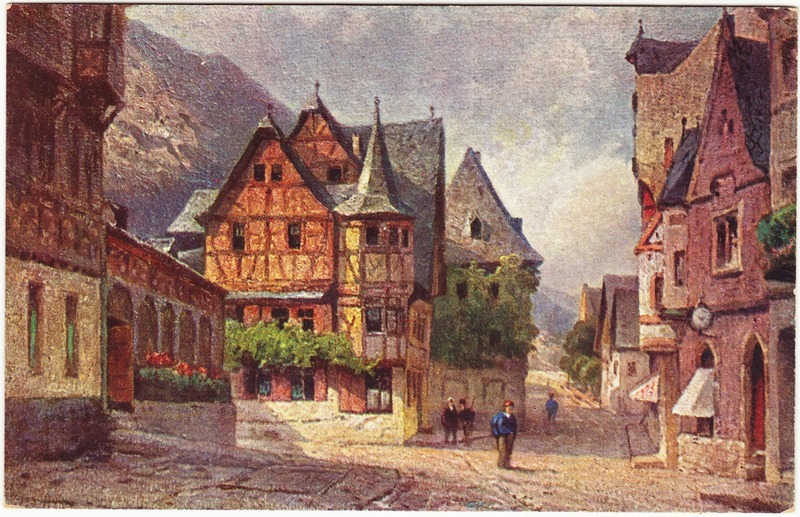 The peaceful-looking setting in this vintage illustrated postcard features the streets of Bacharach, Germany. The town, which now has a population of fewer than 2,000 but a robust tourism business, sits in the Upper Middle Rhine Valley in western Germany. "Das alte Haus in Bacharach ist eines der schönsten Kleinode altdeut-cher Baukunst am Rhein. Welch hohe architektonische Bedeutung dem aus dem Jahre 1368 stammenden Hause zukommt, beweist der Umstand, daß es im Jahre 1897 auf Staats und Provinzkosten ausgebessert wurde." 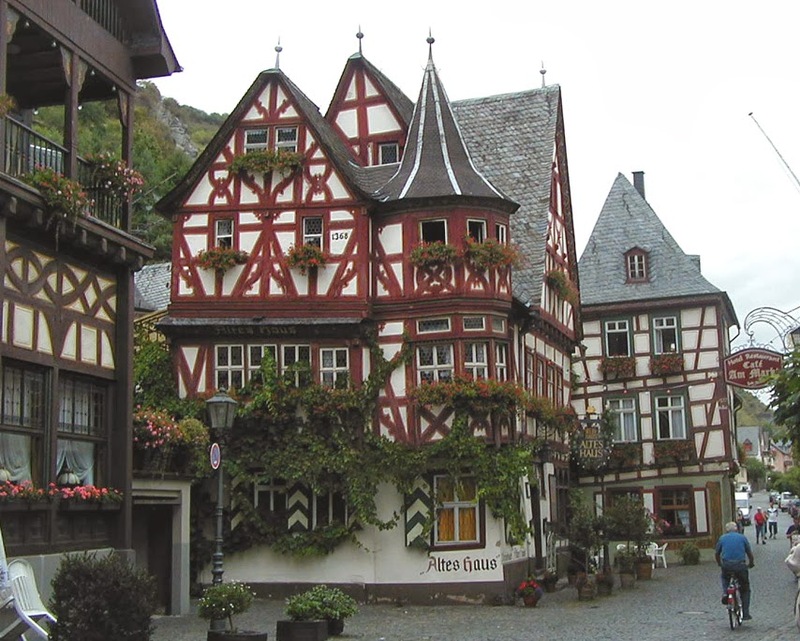 "The Old House in Bacharach is one of the most beautiful early German architectural gems on the Rhine. Its high architectural significance, dating from the 1368, was proven by the fact that it was repaired in 1897 with state and provincial funds." It is with mixed feelings that I report that the building is now a restaurant. The good news, anyway, is that the restaurant garners very good reviews on TripAdvisor2 and is ranked as the #1 attraction in Bacharach. As a final note, the producer of this postcard is listed on the back as "Astudia-Karten vom Rhein. Verlag von Hoursch & Bechstedt-Köln." 2. One reviewer highly recommends the riesling soup. They also offer a cheese-and-bread plate that I know my wife would love.